Nicole Martin is the packaging lead here at District. She took on this role in January 2018, but has been around brewery operations months before that. A Hermione Granger wannabe (for the magic powers and pure awesomeness of course), Nicole is an avid open world video game player who “spends too much time trying to keep the mods I use from conflicting!” She even has a cat named after a character in Fallout: New Vegas (the post-apocalyptic action role-playing video game). 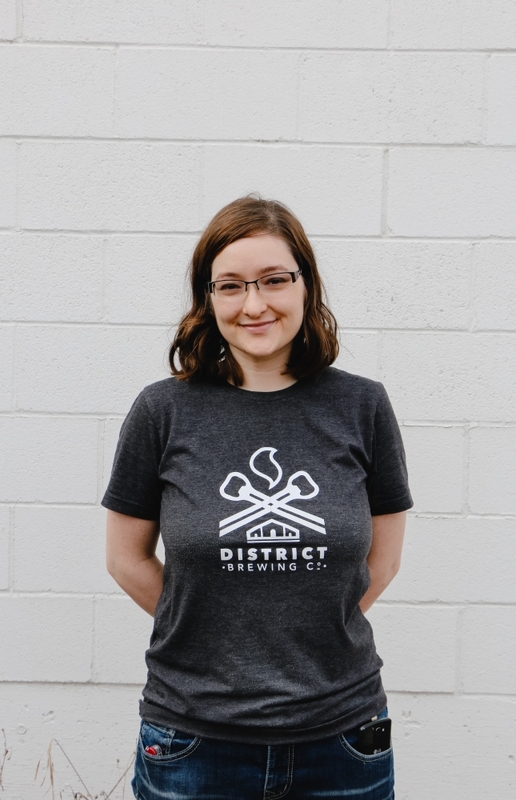 Nicole joined District for the “obvious perks of course”—free beer and friendly people—but also because she enjoys those times when different breweries in the area come together to do a collaboration brew. Bonus? Her dad works at District too, so carpooling is a thing. Her funniest moment at District was when one of the sales reps asked her for “a huge favour.” Nicole thought it would be something like helping with deliveries, but he just asked her to help him organize cans into four packs. “It was less of a “favour” and more of my actual job!” Well, at least she thought it was pretty funny. When she’s not drinking District beer you can find Nicole sipping on her all-time favorite: Lindemans Framboise Lambic beer. It’s no coincidence her favorite beers tend to be of the fruity variety, as the first beer she tasted and actually liked was a strawberry beer her father suggested when they were at the Bushwakker Brewpub.